Now, we've all heard of Moonpig right!? They've been around for quite a while now. Since living overseas they really have become my saviour! I use them pretty much all the time! Sometimes, if we have visitors or meeting up with people in the UK or Spain and it's near to a birthday/anniversary etc, etc, we'll pass the cards on. But to be honest with you guys, I actually find using Moonpig so much easier. Especially here in the UAE greeting cards aren't the best. Yes, we do have a Hallmark and cards in the supermarket, but they're just not the same and I anyway, can never find anything to suit! Also, the post system cannot really be relied on, not in my experience anyway, lol. And with my sister living in Melbourne, again it's so much easier going onto the Oz part of the site! I love how you can store your addresses on the online address book. I find this particular feature useful, saves me having to dig out my address book each time! Also, you can set up email reminders too. I haven't done this yet, I still like to use my calendar that's on the fridge, for that bit. Still a little bit old fashioned, haha, not all hi-tech yet!! I had an email from them the other day, that they are now selling gifts! I already knew they do the flowers, photo's on mugs and t-shirts etc and alcohol gifts, but now they are also doing beauty and home gifts! (only available for UK addresses). There's some brilliant little treats in there. There really is something for everyone now! Take a look here. 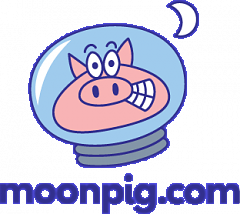 Have you used Moonpig before? Is it something you use often? Find helpful? Love to know your experiences!